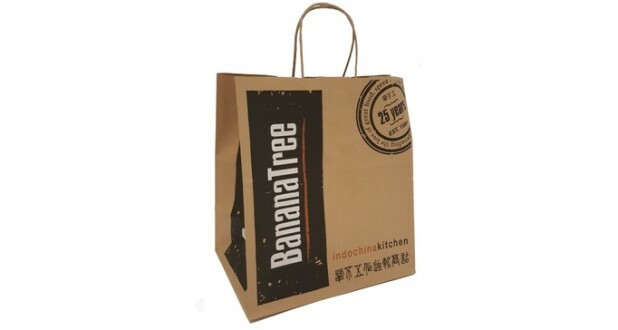 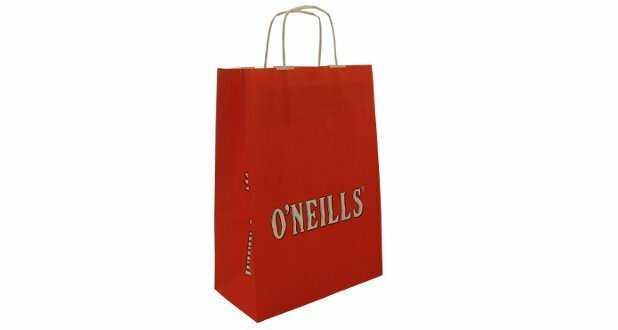 An extremely popular paper bag due it being stylish, functional and cost effective. 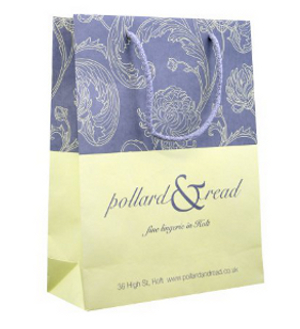 These printed paper bags are 100% recyclable and the paper used comes from fully sustainable sources. 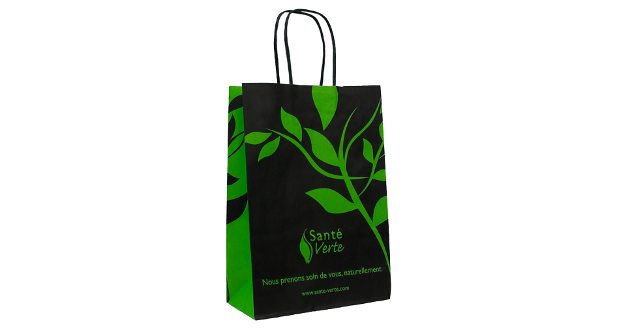 Many people choose Twisted Handle Paper Carrier Bags instead of polythene bags due to their recyclable properties. 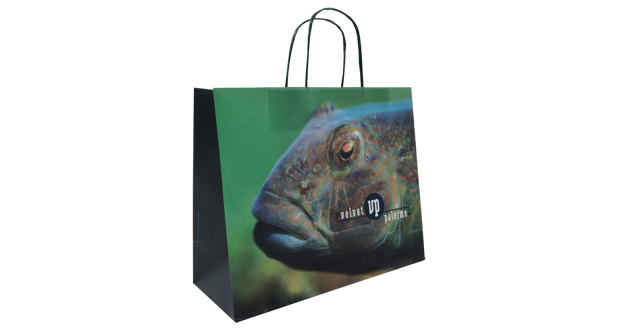 With our new litho printed option, they are also a viable alternative to a rope handle paper bag. 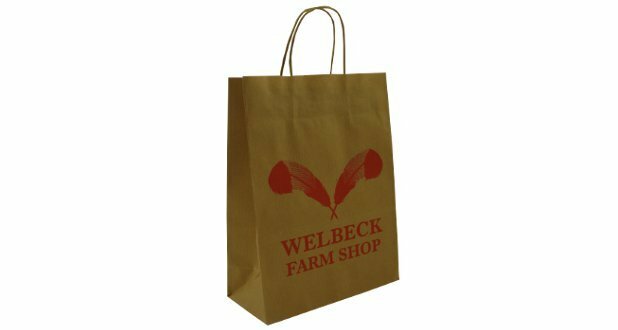 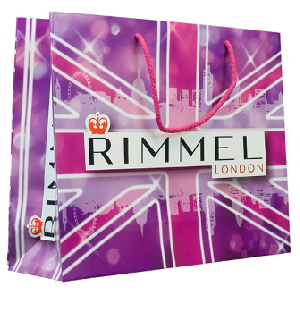 For small runs with a quick lead-time, we can offer “overprinted” twisted handle paper carrier bags, which means printing straight onto a pre-made paper bag. 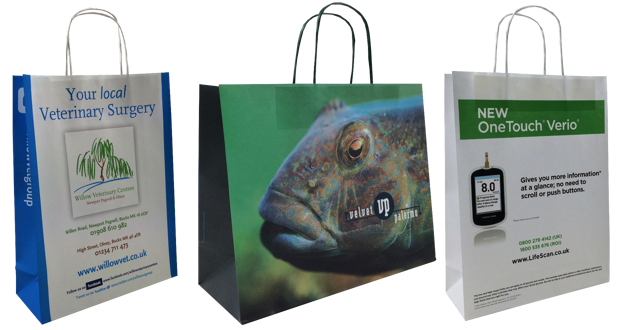 We offer very competitive pricing on larger print runs, please give us a try! The measurements below are formatted width x gusset x height. 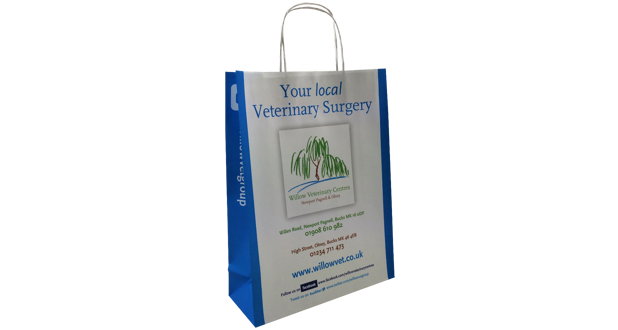 If you can’t see the size you want call our friendly sales team on 01234 712121 or click here to fill in a contact form. 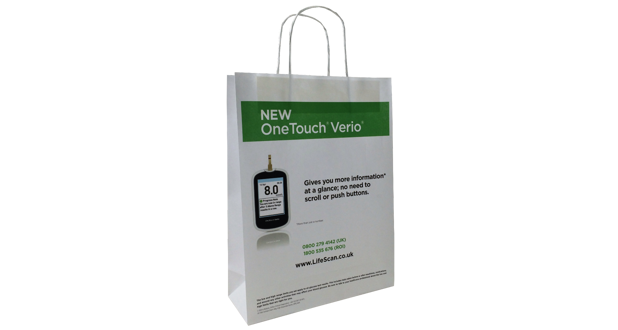 On your initial order there is a one off set up charge. 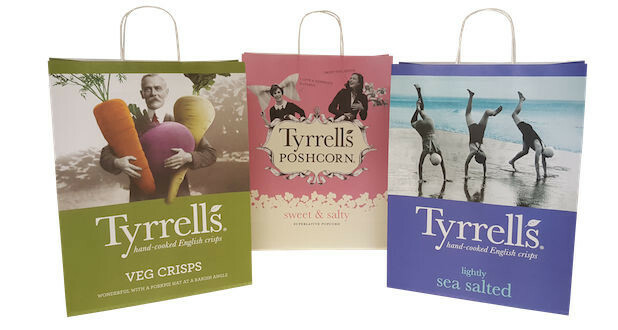 This can be advised on sight of design. 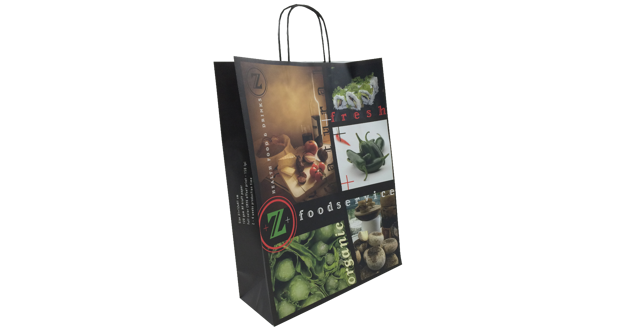 Litho printing is a popular choice for low volume and exceptional quality printing. 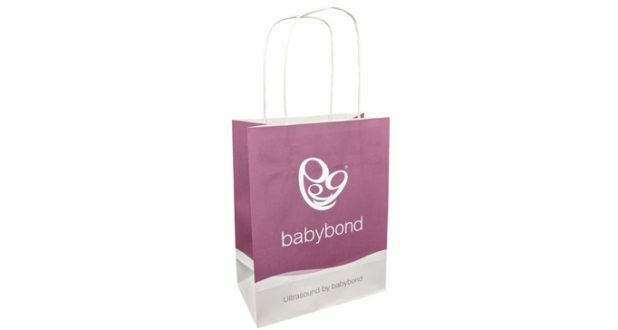 This printing process uses a soft rubber plate which conforms to the surface it’s printed too as opposed to the standard metal plates used in other printing processes which are very rigid and can leave raised or indented text and lines. 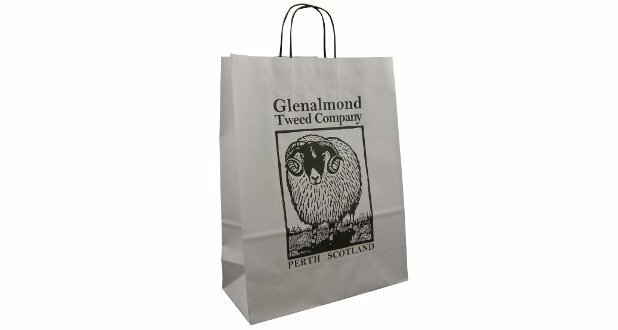 If you want a high quality finish on a very affordable Twisted Handle Paper Carrier Bags we would recommend using our Litho printing process. 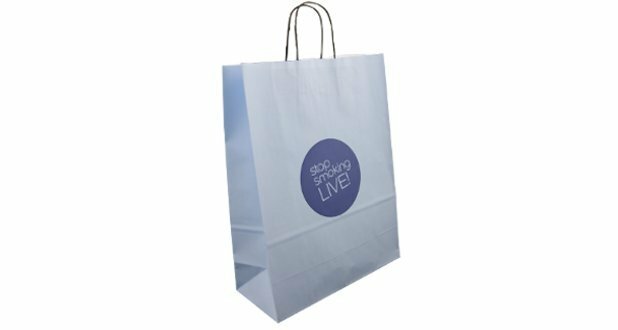 By using Litho printing you will not only benefit from a superior quality print but there is also no Origination cost which will save you from £500 – £1000 depending on the size and style of your bag. 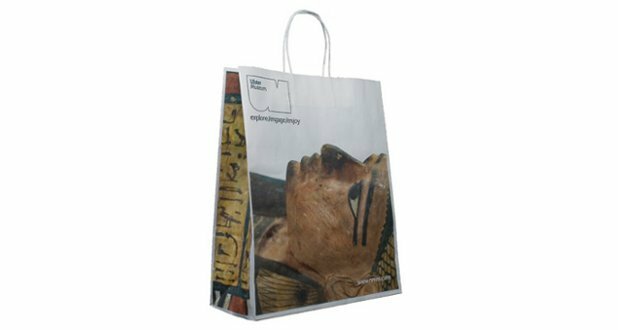 Our minimum order quantity is 1000 and the lead time is roughly 4 weeks which means you could have a superior quality print on a very affordable bag in no time at all.